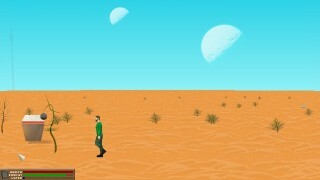 It’s an adventure game hybrid, set in the same universe as my previous game. Now that I’ve cleared a major hurdle in development, I’ve been making the few remaining game assets in blender. 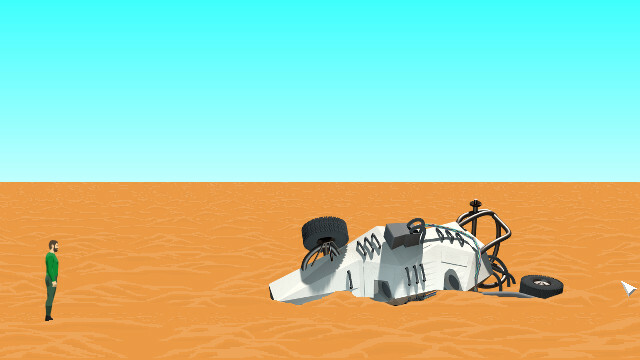 The shot above is one of a few scenes of debris that will be encountered in the game. You basically collect spare parts from these. 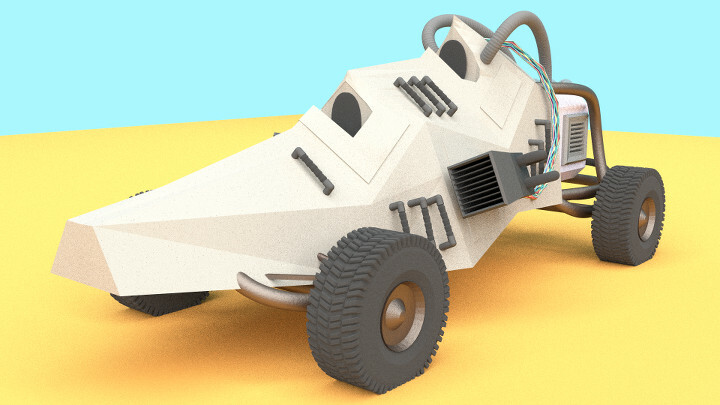 The particular piece of junk in this image used to be an improvised dune buggy, made from an escape pod. Pictured below is the vehicle before its crash. And yes, I am in love with Blender now.